Several students from Huntley 158 had the opportunity to display their artwork at the State Capitol in Springfield. 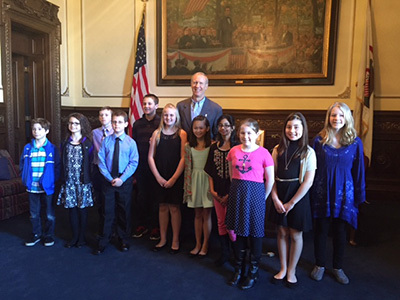 In addition, the selected students met Governor Bruce Rauner. The contest was sponsored by Sen. Karen McConnaughay.